Dead-pan, super-efficient and sarcastic, with an air of authority, Clarissa is the forensic examiner the Lyell Centre has come to depend upon. Her strong bond with Jack, as well as her encyclopaedic knowledge of forensic breakthroughs and advancements in the field, mean that together they are a formidable team. The other man in Clarissa’s life is her husband of many years, Max, a digital forensics expert and the only person to ever beat her at Scrabble. Liz is an actor, comedian and disability rights activist. She was in her thirties when she took on her first professional acting role playing Mother Courage before heading to the Young Vic with another Brecht play, The Exception and The Rule. Since then her acting, stand-up, cabaret and campaigning have taken her all over the world. Liz has recently premiered her show 'Assisted Suicide The Musical' to sell-out audiences at the Royal Festival Hall in London. She will be touring it nationally and internationally during 2017. Liz studied Law at the University of Nottingham. She co-hosted the Royal Television Society Award winning BBC Ouch! podcast for seven years and made a BBC World Service documentary, ‘When Assisted Death is Legal.’. Liz grew up on The Wirral. 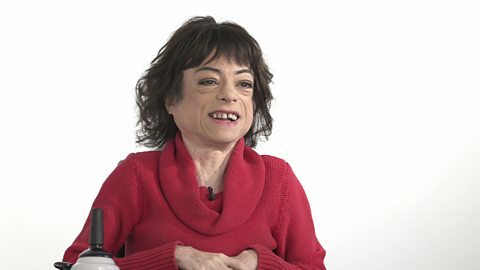 Liz Carr talks about her new character Clarissa Mullery.